So as you can see, being a dapper dude doesn't take that much the place of work. 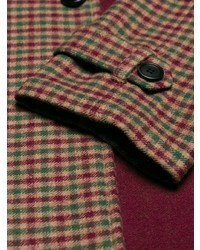 Just try pairing a Prada concealed front coat with khaki chinos and you'll look awesome. 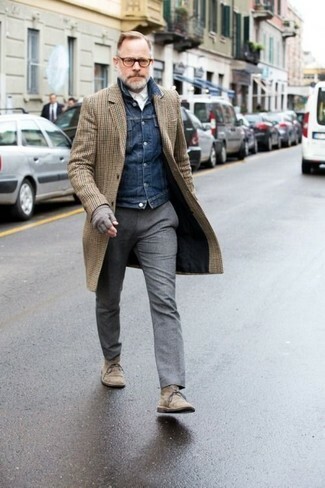 Let's make a bit more effort now and opt for a pair of brown suede tassel loafers. 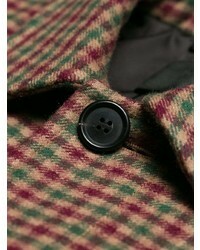 Pair a Prada concealed front coat from farfetch.com with a dark brown suit for a sharp classy look. To bring out the fun side of you, round off your look with dark brown leather derby shoes. 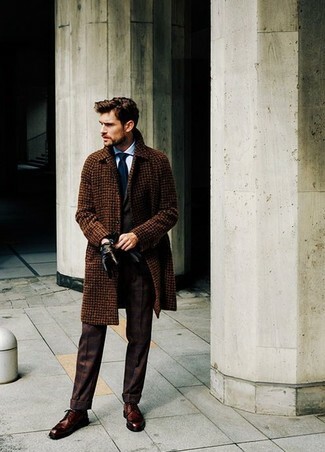 Consider pairing a brown check overcoat with khaki wool dress pants to ooze class and sophistication. Wearing a pair of dark brown suede oxford shoes is a simple way to add some flair to your ensemble. 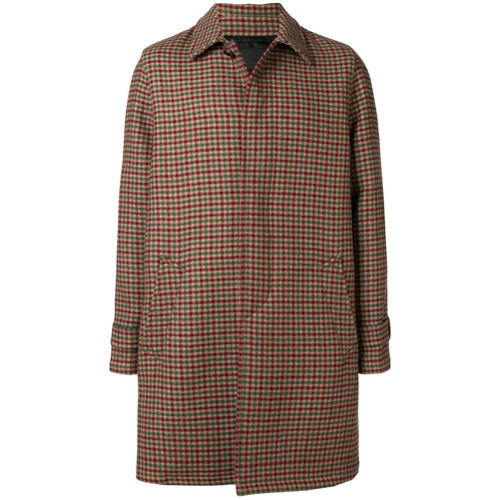 Go for a Prada concealed front coat and a black overcoat like a true gent. For something more on the daring side to round off this ensemble, opt for a pair of black leather derby shoes. Pairing a Prada concealed front coat and a charcoal wool three piece suit will create a powerful and confident silhouette. Add a more relaxed vibe to your getup with brown leather derby shoes. 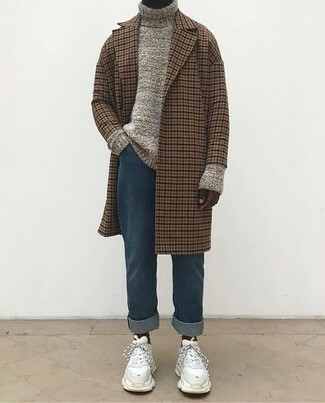 A Prada concealed front coat and blue jeans are absolute staples if you're putting together a refined wardrobe that matches up to the highest sartorial standards. Add a sportier feel to your ensemble with white suede athletic shoes. 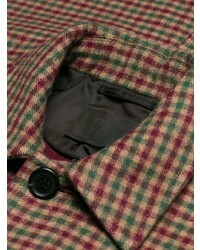 For a casually elegant outfit, go for a Prada concealed front coat and black chinos — these two pieces go nicely together. 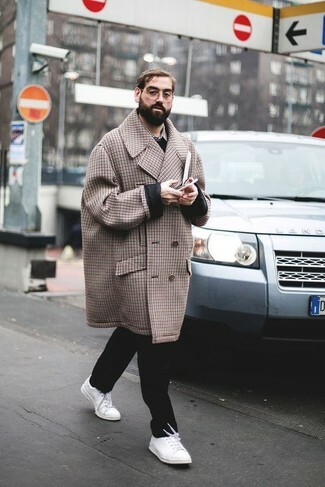 For a more relaxed take, throw in a pair of white low top sneakers. 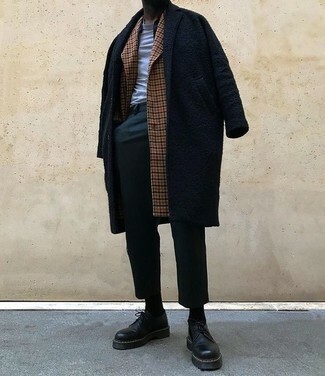 For a nothing less than incredibly stylish look, pair a Prada concealed front coat from farfetch.com with grey wool dress pants. 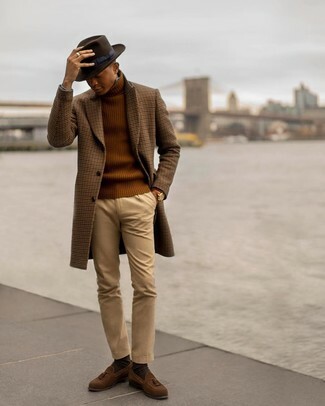 For something more on the daring side to finish off this outfit, opt for a pair of brown suede desert boots. 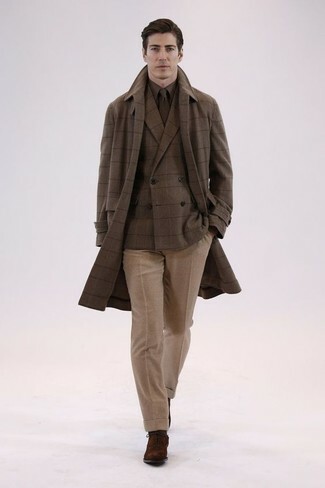 For a nothing less than incredibly stylish outfit, team a Prada concealed front coat from farfetch.com with a dark brown three piece suit.